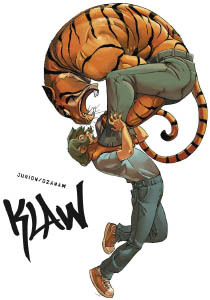 Klaw is a French comic book series that will soon be available in English from Magnetic Press, so this is a good time for a review! It's a young adult superhero/action comic with anthropomorphic content. 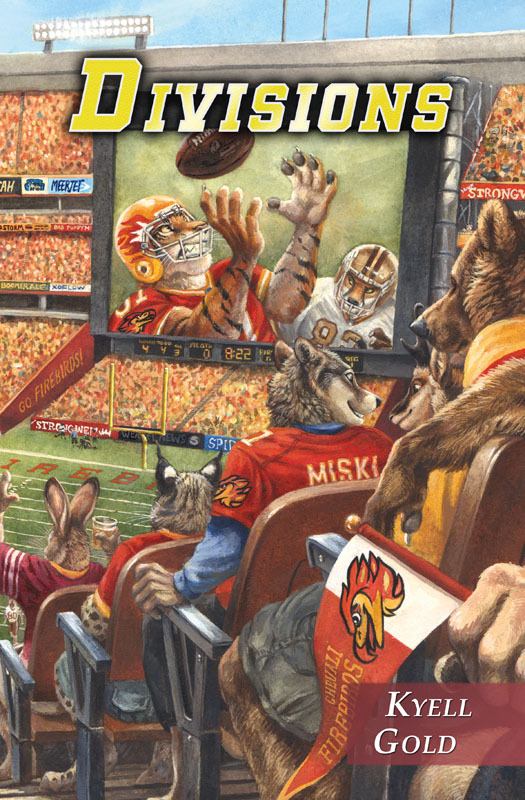 Will it appeal to furry fans? Possibly. 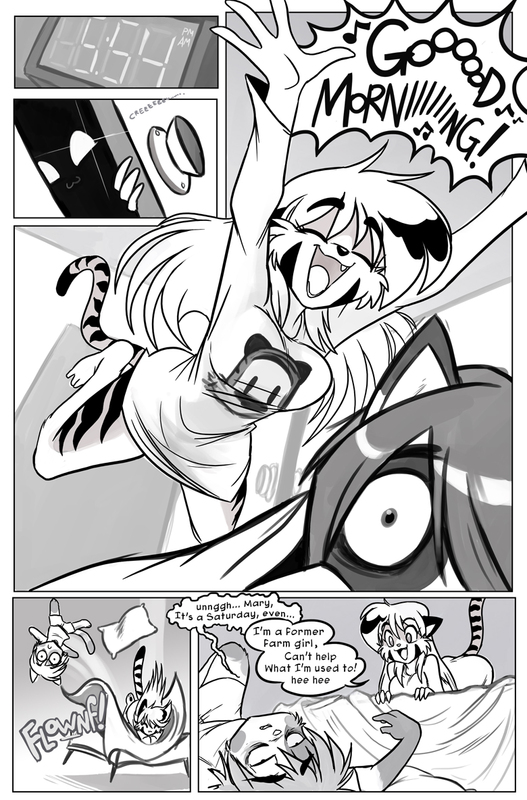 Bonus points if you're a fan of tigers. It's written by Antoine Ozanam and drawn by Joël Jurion. Angel Tomassini is a kid in early high school who gets bullied a lot, even though everyone (except him) seems to know that his father is the head of the Chicago mafia. Within the space of a particularly bad week, Angel learns the truth about his dad, is questioned by the police over the suspicious death of another student, is attacked by ninjas, goes on his first date, and finds out he has the power to turn into a powerful, muscled were-tiger. Tristan Black Wolf's The Laputan Factor opens with software developer Night O'Connell enjoying a well-earned rest in the company of his hyena boyfriend. Or with fighter pilot 1st Lt Ambrose Bierce Kovach about to enter a simulated exercise aboard the star cruiser Heartwielder. As scenes and viewpoints switch, which of these almost-identical, head-hopping tigers is the real one? Both? Neither? The story that follows is a science fiction gay romantic comedy mystery caper, with two realities' worth of characters helping or hindering the increasingly urgent quest to work out what's going on and how to fix it. That's about as much as I can write about the plot without the risk of ruining readers' enjoyment by blurting out spoilers. I can't even be specific about which cult 1960s TV series turns out to be vitally important. 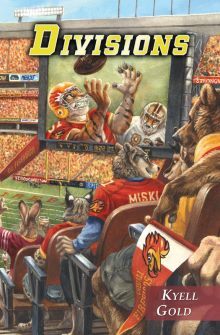 However, I can and will say that I enjoyed The Laputan Factor very much, and that if you like your furry fiction with buff, wisecracking characters, action, and a touch of mystery, you'll probably enjoy it too. AuthorHouse, June 2015, trade paperback $16.95 (202 pages), Kindle $3.99. Illustrated by Dream&Nightmare. The full verison of Kaze, Ghost Warrior (2004; Flayrah review) has been released to YouTube, in advance of a panel at Anthrocon 2014 covering a planned successor series. E. Amadhia Albee: On Friday, July 4th at Anthrocon from 3-4pm in room DLCC 319-321, after a short retrospective about where the search for Hollywood funding succeeded and where it failed, we will be introducing the production team behind Kaze: Winds of Change, the new series that chronicles the love between Kaze and 'Bay, and the fall of the Kenmai dynasty. We will be announcing an open casting call for the remaining parts in episodes 1 & 2 (scheduled for release at FurWAG in early October of this year), and we will be sharing a teaser recording of some of our principal cast doing a read-through of one of the scenes from the upcoming episodes. Close to 4p, we will be sharing a major bit of news that will likely have great appeal to Kaze fans. 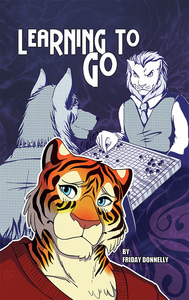 This is Book 3 of the Tails from the Upper Kingdom; the direct sequel to To Journey in the Year of the Tiger and To Walk in the Way of Lions. 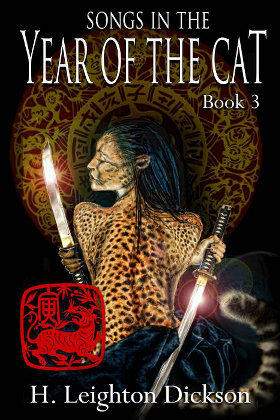 In those two, Captain Kirin Wynegarde-Grey, a genetic lion-man (yes, he has a tail) and commander of the Empress’ personal guard in a far-future post-apocalypse dynastic China (with touches of feudal Japan) that has forgotten its past, leads an expedition consisting of his geomancer brother, his snow leopard-woman adjutant, a young tiger-woman scholar, a cheetah-woman alchemist, and a mongrel-man (mixed feline) priest into unknown western lands. They encounter canine nomads in what was Mongolia, and really exotic animal-peoples in what was Europe; and they learn the true history of the world and the apocalypse that destroyed it. 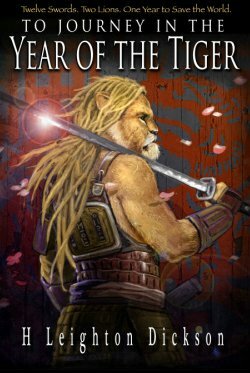 The expedition is much smaller when the survivors return to the Empress’ court in the Upper Kingdom two years later, just as the Year of the Tiger has ended. CreateSpace, July 2013, trade paperback $14.99 (i + 312 pages), Kindle $2.99. “When his village is enslaved and his wife kidnapped by the malevolent Mastodon Mathematician, a simple farmer must find his inner warrior! Granted the form of the Sabertooth Swordsman by the Cloud God of Sasquatch Mountain, our hero embarks on a treacherous journey to the Mastodon’s fortress, along the way getting beaten to a pulp by ogres, plague mutants, the king’s army, and goats!” We can’t make this stuff up folks. That’s why we just present it to you! 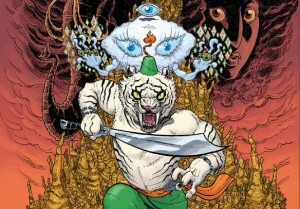 It’s called Sabertooth Swordsman, and it’s coming in hardcover from Dark Horse Press this November. This black & white fantasy graphic novel was written by Damon Gentry (Eerie) and illustrated by Aaron Conley (Prophet). In addition to the story it features guest pin-up art by the likes of Mike Allred, Brandon Graham, David Lafuente, and others. For a first look, check out the preview article at Invade My Privacy. And that, boys and girls, is how to begin a novel! It is the reader’s option whether to take Dickson’s Tails from the Upper Kingdom series, of which these are Books 1 and 2, as science-fiction, set about 5,000 years in the future, or as high fantasy. 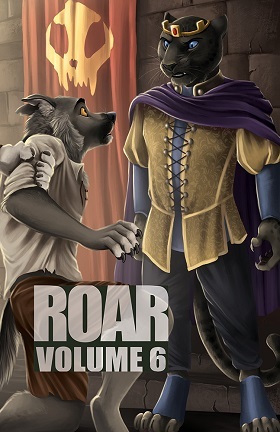 Kirin Wynegarde-Grey is a genetic lion-man, and there are plenty of other half-feline men and women – leopards, tigers, ocelots, cheetahs, jaguars, lynx -- in these two books to please the reader. “To Journey in the Year of the Tiger”, by H. Leighton Dickson. North Charleston, SC, CreateSpace, September 2012, trade paperback $14.99 (i + 343 pages), Kindle $2.99. 2nd printing, May 2013. “To Walk in the Way of Lions”, by H. Leighton Dickson. North Charleston, SC, CreateSpace, October 2012, trade paperback $14.99 (i + 347 pages), Kindle $2.99. 2nd printing, May 2013. It's been seventeen and a half years since cartoonist Bill Watterson published the 3150th (and last) strip of Calvin and Hobbes, the comic about a six-year-old boy and his sardonic stuffed tiger. Since then, film director Joel Allen Schroeder envisaged a documentary about Calvin and Hobbes, and in 2007 began filming interviews with fans. In 2009, Schroeder created a Kickstarter campaign to fund his project, which raised twice its initial goal of $12,000. A subsequent campaign raised $96,000. 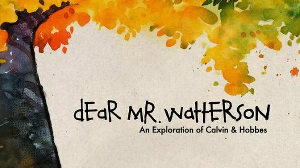 Now complete, the movie (Dear Mr. Watterson) has been picked up by a distributor and is scheduled to arrive in theatres November 15. 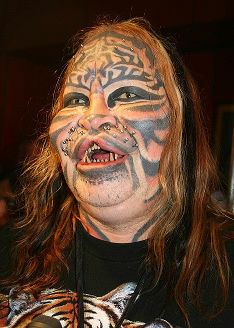 Dennis Avner, better known under his Native American name Stalking Cat, died November 5. He was 54. OggyWolf and BlueCanary confirmed Stalking Cat's death with local officials. His body is being held in Tonopah morgue for his brother [tip: STrRedWolf]. No cause of death was stated, but some claim suicide. A former U.S. Navy sonar technician, and programmer, Stalking Cat was famous for having had extensive cosmetic surgery to adopt the likeness of his totem animal, the tiger, in accordance with Huron traditions. His body modifications included a split lip, labret-based whisker-holding implants, dental surgery, and silicone injections. He was also extensively tattooed. Stalking Cat was a guest of honor at Rainfurrest 2007, and appeared at CritterConDiego 3 in 2002.